Does resistant starch impact blood glucose? This question is often asked, but no studies are available…so I tested it on some volunteers. Purpose: This study was designed to test the glycemic impact of several common resistant starch supplements as compared to a high-glycemic food such as white bread (GI=75) or freshly cooked potato (GI=78). “Starch” is often thought of as a high-glycemic food ingredient. Diabetics and those on low-carb diets are instructed to avoid starchy foods. Study subjects: 10 non-diabetic adults (n=10). Study design: Each person was provided with a home blood glucose test kit (OWell Bayer Contour NEXT EZ), potato starch (Bob’s Red Mill), green banana flour (Zuvii), and Hi-Maize (Lifesource). Post-prandial blood glucose monitoring after a meal of white bread (two slices) or potato (one medium), each meal providing about 35g of carbohydrate. Post-prandial blood glucose monitoring after a serving of potato starch (2TBS). Post-prandial blood glucose monitoring after a serving of green banana flour (2TBS). Post-prandial blood glucose monitoring after a serving of Hi-Maize (2TBS). The glucose monitoring tests were done at least two days apart to rule out a subsequent-meal effect of resistant starch. The foods were eaten alone, on an empty stomach. The quantities used represent a normal serving of each food or supplement, not dose-matched for carbohydrate content. Conclusion: Resistant starch does not raise blood glucose of non-diabetics significantly when compared to a high-GI food. Further studies should be made on diabetics. Resistant starch is found in several commercial supplements (ie. Gut Garden) and also common cooking starches such as potato starch, green banana flour, and Hi-Maize. Resistant starch has been shown in numerous studies to lead to a long-term reduction in blood glucose and can be helpful in preventing Type 2 Diabetes. Unfortunately, the word “starch” strikes fear in the minds of dieters who are avoiding carbohydrates. 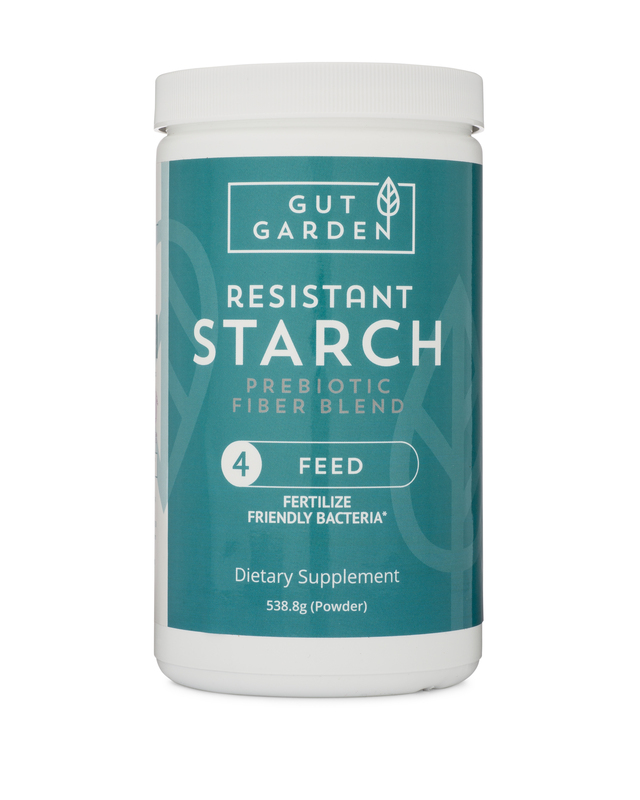 Resistant starch (RS) differs from readily digested starch (such as Argo corn starch) in that RS is not well-digested in the small intestine, instead being delivered to the large intestine where it serves as prebiotic fiber for gut bacteria. Other types of starch are digested by enzymes in the small intestine and converted to glucose which “spikes” blood glucose considerably. The Glycemic Index was devised to show which foods cause increases in blood glucose. Diabetics and people on special diets are instructed to limit the intake of high-glycemic foods such as white bread and potatoes. Over the 5+ years I have been studying RS, the question of the glycemic impact of RS often arises. To my knowledge, there are no peer reviewed, published studies showing the glycemic impact of RS on non-diabetic volunteers. Perhaps this private experiment will prompt researchers to test this on diabetics to determine the safety of RS supplementation for the glucose-impaired. The Glycemic Index was developed to examine the length of time a food raises blood glucose levels. This is known as the area under the curve (AUC). It’s clear to see from the glucose charts (figures 1-10) that resistant starch does not cause a glucose increase comparable to white bread or potatoes. However, in this experiment we did not dose-match the serving sizes as is done when testing the glycemic impact of foods. Two tablespoons of resistant starch does not impact blood glucose significantly. This should put those concerned with blood glucose at ease when deciding if they should supplement with RS. Would these results be reproducible in a diabetic cohort? What effect does RS supplementation have on insulin levels? I hope that an established researcher will duplicate this study and publish the results in a peer-reviewed journal for all to see. Until then, rest assured that supplementing with RS is not causing undue blood sugar spikes (if you are concerned with such things). And a big “Thanks!” to all the folks who volunteered to do this for me. I hope your fingers have healed from all the pokes. What do they normally eat, though? I only requested that none of the volunteers were eating a VLC/keto type diet longterm. I think you’d find that most of them eat a very sane diet. My fear with low carb diets was more their reaction to the bread/potato meal, and if you look at the chart of “M,34” you’ll see signs of insulin resistance. This man has been dieting for some time and eats relatively low carbs. He’s a far cry from being diabetic, though. 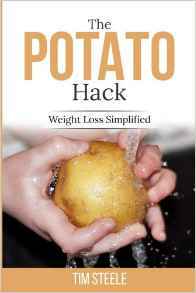 I’m living in rural Thailand and have done the potato hack several times always with good results. Unfortunately, I’m finding it impossible to buy potato starch locally (even in Bangkok). But tapioca starch is abundant and cheap. How “bad” is tapioca starch compared with potato starch? From what I can tell, tapioca starch does not contain much RS at all, maybe 4% compared to potato’s 60%. Are green plantains available? I’m not sure where you’d find a good RS supplement, can you order things online? In Chinese shops in Amsterdam I have seen potato starch from Thailand. Scroll down and you will see potato starch sold by Dan-D Foods (Thailand) Co., Ltd. They may be able to give you a local supplier. Tim, are you able to publish the raw data from your study? It would be great if you put all the (anonymized) info on Github so other people can see your statistical calculations (and perhaps suggest ways to improve it). The charts all represent the raw data, no calculations. I’ve not used Github, any particular place to post such data? My goal was to see if a normal serving of RS caused a spike similar to a normal serving of bread or potatoes. I think it’s clear from the charts that it does not. If I had some captive test subjects, it would be fun to try larger amounts and see where it does cause a spike, and also test insulin and some other markers. I did this experiment on a lark since I had some funds leftover from the RS analysis project and have been hearing people complain that “RS raises their blood glucose.” N=10 seems to add legitimacy to experiments, the Glycemic Index was developed using groups of 10 to make their predictions. Apparently you have a hacker on your patch! !